Virtual-Hideout.com: Apples Announces Special Media Event on September 12th. Surprised? Apples Announces Special Media Event on September 12th. Surprised? The worst kept secret in the history of Apple Computers has just been "officially" announced by Apple. They finally sent out invitations this morning for a special media event being held in San Francisco on September 12th, 2012. This date was widely speculated over the past month and it appears the leaks had it spot on from the start. Also of note is the fact that there is a large "5" shadow cast off the "12" which can really only mean one thing; the next iPhone will indeed be called the iPhone 5 and not 6, or "new iPhone" or anything else. It really wouldn't make sense to name it anything other than iPhone 5 judging by the above image released today by Apple themselves. As a happy iPhone 3GS and now 4S user, I join the millions in hoping that the iPhone 5 has saved some surprises for the September 12th, because so far the leaks of a "stretch iPhone" has been very disappointing. 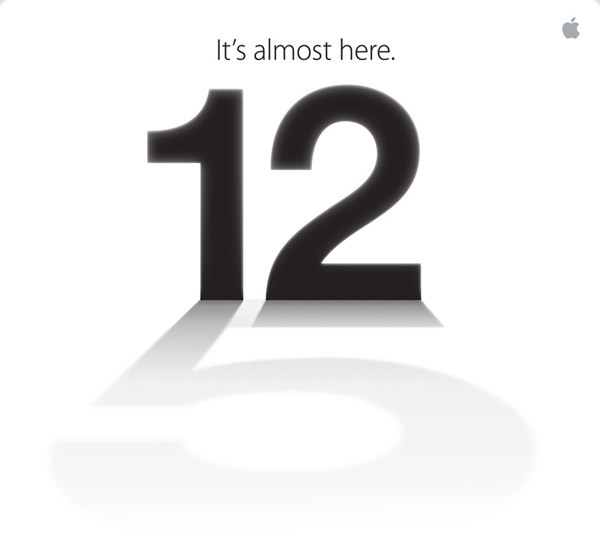 If that is indeed what is launched, I will continue to enjoy my iPhone 4S for another year. Thoughts?